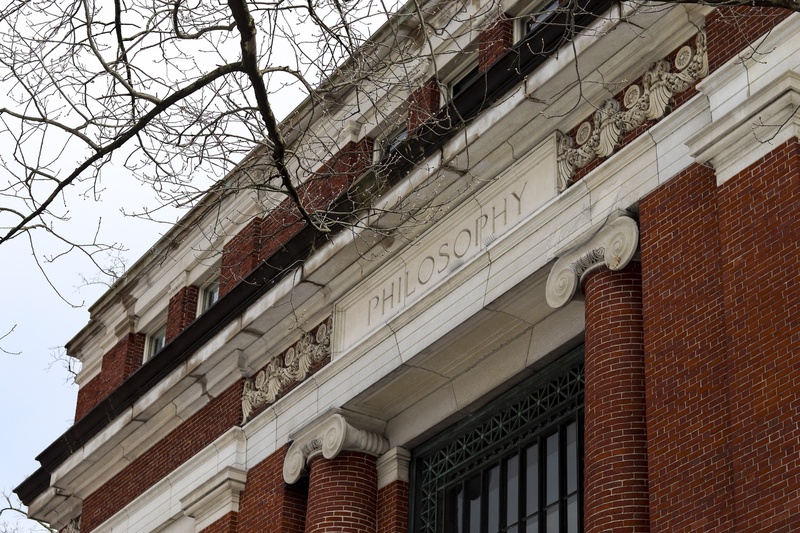 Emerson Hall in Harvard Yard is the home of the Philosophy Department. Pioneered by Computer Science Professor Barbara J. Grosz and Philosophy Professor Alison J. Simmons, the initiative pairs Computer Science faculty members with Philosophy graduate students to collaboratively design modules and assignments that address relevant ethical issues within Computer Science curricula. The program has tripled in size since its inception in spring 2017, when four courses were offered. Simmons said rather than serve as an afterthought or a “one-off course,” ethical reasoning should be taught concurrently with computer science to enable students to think critically and communicate about ethical challenges associated with technology. Grosz also said the program aims to integrate ethics-based conversations into existing Computer Science courses rather than create entirely new ones. “You need to think not just about how to write clean code and elegant code and efficient code, but also about whether what the system is intended to do is ethical and whether the system might have side effects that raise some ethical concerns and, if so, how to either design around them or decide you shouldn't put certain capabilities in,” Grosz said. Varun Jain ’20, a Computer Science concentrator who took an Embedded EthiCS course — CS 263: “Systems Security” — last semester, said the interdisciplinary perspective the initiative provided allowed him to “look at the material in a more practical way” than he otherwise would have. Grosz said the initiative has already received support from University President Lawrence S. Bacow, Dean of the Faculty of Arts and Sciences Claudine Gay, Safra Center for Ethics Director Danielle S. Allen, and a number of school and divisional deans. In a November interview, Gay described the initiative as “one of the most innovative programs” within FAS. The initiative’s course materials are also online in an open-access format, which Simmons said allows students and faculty members at other institutions to easily access them. Both Grosz and Simmons said they are looking forward to expanding the initiative to other areas of Harvard, such as Harvard Medical School — a decision bolstered by high levels of interest shared by other faculty members. “I’m hopeful [the expansion] will start in the next year or so, but there’s much planning to do in finding the right people to do the teaching and designing the course modules and so on,” Grosz said. Michael K. Bervell ’19, who has taken an Embedded EthiCS course, wrote in an email that growing student interest has led to discussions of starting a student organization that explores the intersection of these disciplines with both Harvard and visiting professors. A previous version of this article incorrectly stated that the Embedded EthiCS program began in spring 2018. In fact, it began in spring 2017.